Kolkata/Texas: After having led a cushy life in the United States of America for a one-and-a-half decade, Jayasri Talapatra Gill, an IITian has been pushed to selling paintings made by her on the streets of Seattle in Washington County. 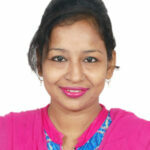 Jayasri has been making a living by doing so for quite some time now. The money she earns is used to get an accommodation in one of the motels. 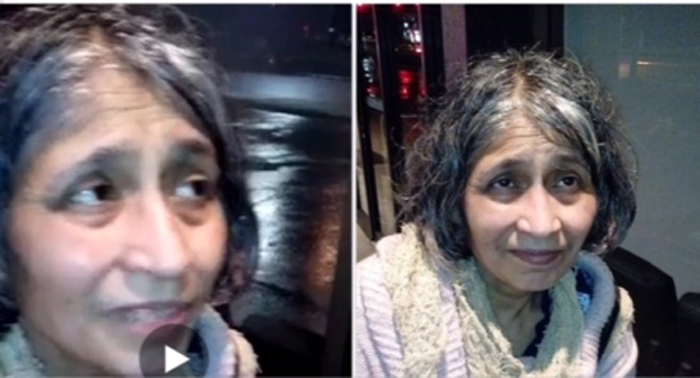 However, Prabhat is little upset with the local India media, for having reported that Jayasri was spotted begging on the streets of Seattle and it took a couple of minutes to convince him, to agree for an interaction. A rather miffed Prabhat, even resorted to deleting his FB posts related to Jayasri. He said, “Local Bengali Community requested me to remove the video, with Indian media reporting that the lady was found begging. Let me clarify, she makes a living by selling paintings and lives in a motel. The fact that she has lost her originals is making things difficult for her. She does have the photocopy of her documents. But to get things done here, you need the ID proof, which she lacks. Here even the homeless have an ID proof. The local community has come forward to her aid. We have contacted her sister back in Kolkata, who has promised to contact someone in the Ministry of External Affairs, to get her passport done.” He even went ahead to label media as Al Dajjal, the one-eyed (the lens) monster. Right from Jayasri’s discovery to sending off an SOS to her relatives in India, one thing that remains a mystery is the lack of her family’s interest. Repeated calls made to her sister, Maityee Talapatra, remained unattended. However, she during her interaction with Indian Express maintained that they had no clue about her condition while in the video posted by Prabhat (which has now been removed) Jayasri has claimed that no one back home takes her calls. Maityee, however, has claimed that she has sought the help from various officials to get her sister’s passport done.